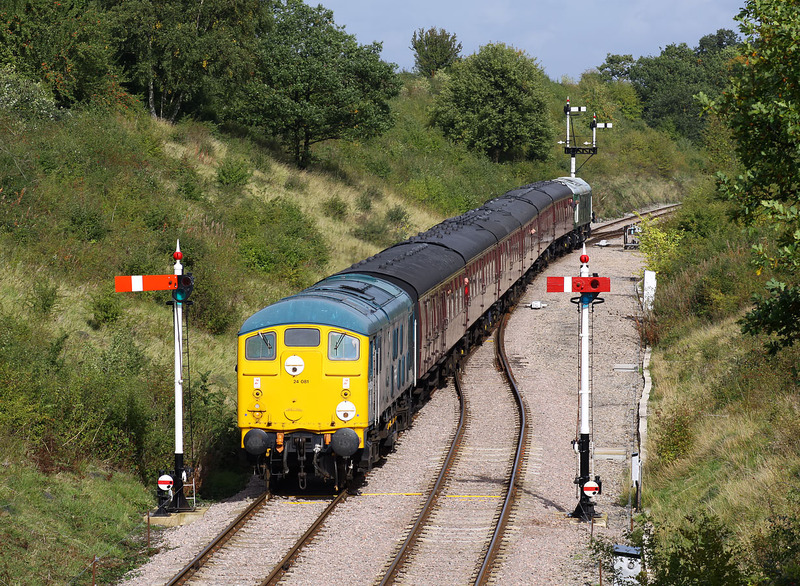 24081 amid a sea of semaphores at Toddington on 2 October 2010. It is working the 12:00 Toddington Distant Signal to Gotherington service, during the Gloucestershire Warwickshire Railway's Diesel Gala. Class 25 D7612 can just be seen on the rear of the train.